This week's #RunChat -- 8 p.m. ET Sunday, May 14 -- welcomes our longtime sponsor PRO Compression! We'll have a few giveaways of their compression socks this week, so check this post often. The first is to simply REPLY to the tweet below and answer at least one question in Sunday's #RunChat to be entered. One person who responds to the above tweet will win their choice of a pair of PRO Compression socks. Only one reply per Twitter user is eligible to win. The second way to enter to win is to reply to the tweet below, answering whether you prefer compression socks or compression calf sleeves. One winner will be chosen at random. All winners will be selected at random and announced in the final 5 minutes of #RunChat. Favoriting and liking of Tweets do not increase your chances of winning. The final way to enter to win is to simply join #RunChat at 8 p.m. ET Sunday. Two additional winners who participate in the chat are eligible to win a pair of socks. 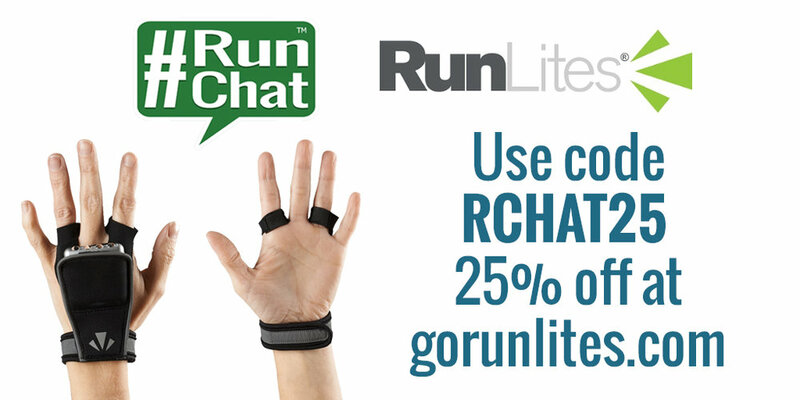 You can also show your #RunChat support on your next PRO Compression purchase when you use CHAT2 at procompression.com. You'll get 40% off plus free shipping on any order order $20. What do Guns N' Roses, Beastie Boys, Rick James, Rick Springfield and U2 have in common? Well, we're not quite sure ... but they are ALL on the newest RockMyRun #RunChat mix that you created this spring! And now you can grab it and enjoy a month of RockMyRun. Get it by downloading the RockMyRun app and entering code HAZY80S. That will send the mix directly to your favorites and get you a free month of RockMyRun. So far this mix has been rated at 5 stars by RockMyRun users!